After six years of plotting I've taken the plunge and the kitchen remodel has begun. Here's the "before" shot (it's a beauty.) 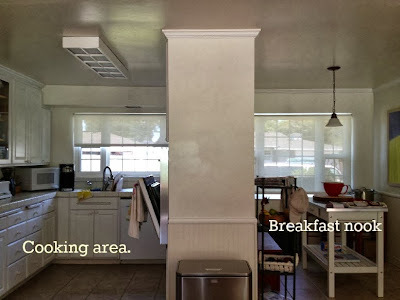 Originally this entire space (including the area I'm standing) included the cooking area, breakfast nook, a small TV room (across from the cooking area) and a dining room (across from the breakfast nook). All these rooms added up to many sliding doors and separated spaces - too many in my opinion. So we knocked out the wall between the TV room and dining room to create one large dining area filled with one very large table. The last step in this journey is to remove the wall (below) and create an open, airy space which allows for easy flow of guests and occupants alike. As a commentary on dinner parties, it's true that everyone ends up in the kitchen and in this case the smallest space (the "cooking area".) 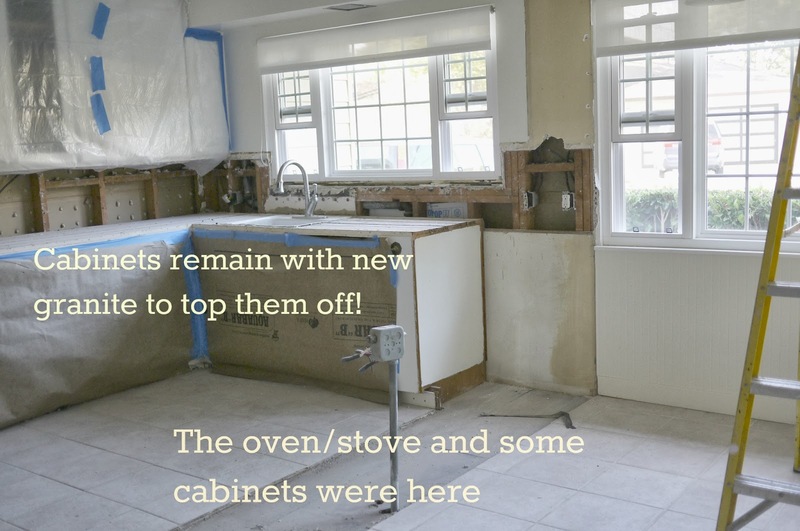 Once this remodel is complete, they will probably still stand there but at least there will be room for everyone (including me, the cook) to move around. 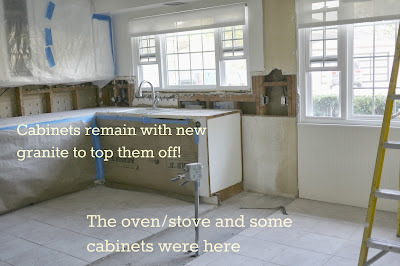 The photo below shows the demolished kitchen with older - but well-made cabinets - remaining. The range (out in the garage for..yes...almost 4 years) and hood (arrives tomorrow) will fill that old center area. Then, we (as if I'm actually doing the work) cover all surfaces with beautiful granite and resurface the floors with new tile. 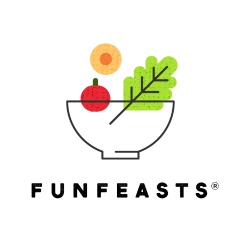 Stay tuned and I'll be sure to post a few recipes for Top Ramen and other items cooked by microwave. I know, I know, cue the violinists so everyone can feel sorry for me!